M4M will continue to use soft technical fabrics and extreme seam reduction to reduce bulk and along with dynamic visual aesthetic through color usage and engineered patterning. With premium styling, M4M Seamless will give athletes the freedom of movement for their most comfortable workout yet while utilizing an appealing aesthetic. The less restrictive garment offers superior stretch and recovery and special warming yarns provide NB Heat technology. The moisture wicking technology in these fabrics help keep you dry while you work out. The specially composed coffee charcoal, together with an oxide additive integrated into the yarn, absorbs the body heat and captures it for an extended period of time trapping body heat against the body to keep you warm. Made for Movement with NB Heat consists of an assortment of technical tops for both men and women. The collection will be available throughout Fall 2016 and include the M4M Seamless Cable Pullover($95.00) and seamless long sleeve for women ($75.00) and the M4m Seamless ½ Zip ($95.00), and seamless long sleeve for men ($90.00). New Balance, headquartered in Boston, MA has the following mission: Demonstrating responsible leadership, we build global brands that athletes are proud to wear, associates are proud to create and communities are proud to host. New Balance is the only major company to make or assemble more than 4 million pairs of athletic footwear per year in the USA, which represents a limited portion of our US sales. Where the domestic value is at least 70%, we label our shoes Made in the USA. New Balance owns five factories in New England and one in Flimby, U.K. New Balance employs more than 5,000 associates around the globe, and in 2015 reported worldwide sales of $3.72 billion. 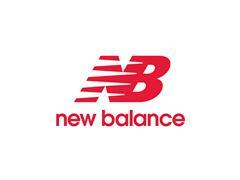 To learn more about New Balance, please visit www.newbalance.com and for the latest press information please visit http://newbalance.newsmarket.com.